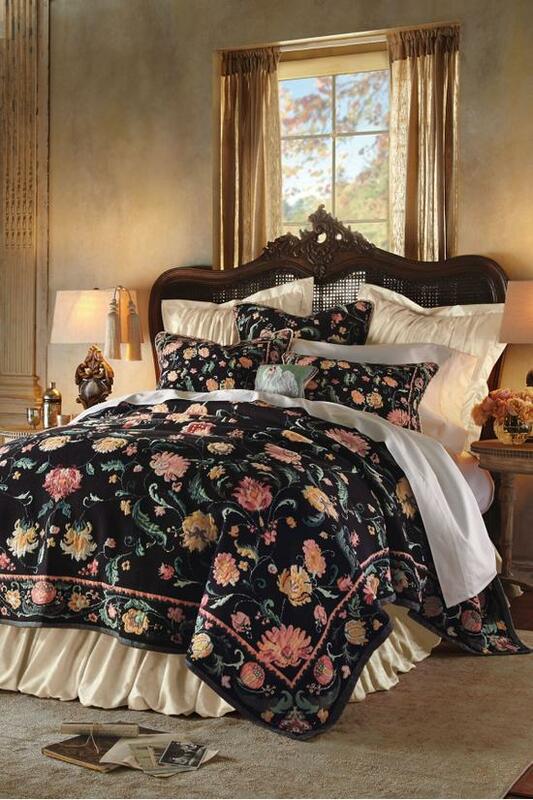 It looks as if wispy leaves and fluffy blossoms drifted like feathers from above to land on the deep black ground of this Belgian-made tapestry coverlet. Sleeping beneath it is an equally soothing experience. 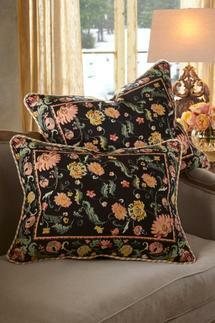 Fashioned in a looser Jacobean floral style, the print is offset with a flowering vine border and multi-colored braided cording. Mixing hues of salmon, terra cotta, red, pale and dark green - a palette that works with a multitude of accessories - it is dramatic but not overpowering. 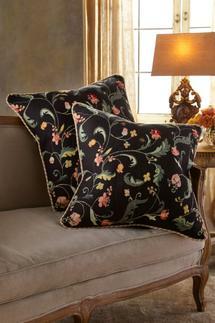 Pair it with our Belgique Bed and Euro Sham. Expertly made using old-world techniques. Cotton. DRY CLEAN ONLY, DO NOT WET CLEAN.